A common belief among many Christians is that Israel holds no special place anymore in the heart of God. Unfortunately, this has led to many outright rejecting the legitimate existence of modern day Israel. No matter what anyone says, this belief gets harder with each passing day to substantiate, given Israel’s place in prophetic world affairs since the nation’s rebirth in 1948. However, many continue to believe in replacement theology or Supersessionism. What is Replacement Theology or Supersessionism? A short study will answer this question. Where did Replacement Theology or Supersessionism originate? Many other examples can be found, but these teachings were very influential to what would become the adoption of these beliefs by the Catholic Church and numerous other denominations in history. Is Replacement Theology or Supersessionism Biblical? Does it really matter what one believes about Israel? This is where Replacement Theology or Supersessionism gets dangerous. Whenever you have bad doctrine, it results in bad practice. The belief that the church has replaced Israel has resulted in great atrocities to Jews since just after the time of Christ. Of particular note is its influence that can be found in the anti-Semitic writings and actions of Martin Luther, a whole host of popes, Adolf Hitler, and many theologians and denominations today. In fact, many groups in the last few centuries have claimed that their group or denomination was chosen by God to replace Israel. They often use this belief to make the claim that Jews today are imposters and should be forcibly removed from the land that Israel presently occupies. Most often, these claims are used to support promotion of a master race that was selected and blessed by God. Likewise, many who believe this theology will not admit it, but since there is often a belief the replacement took place in 70 AD, the book of Revelation, written about 96 AD, is often considered as heresy because it was written after the alleged replacement. Likewise, prophecies written in 2 Thessalonians 2:1-12 are used to accuse people today that do not agree with replacement theology that God has deluded them to believe a lie because He did not choose them to be saved. I have personally witnessed this tactic when lovingly presenting the truth using the Bible when it does not agree with their teaching of Replacement Theology. Replacement Theology, or Supersessionism, is the belief that the church, replaced or superseded Israel in God’s plan for humanity. Many theologians, church leaders, and churches still embrace this theology that has been promoted for over 1800 years. Attempts to justify this theology scripturally are weak at best and deny the whole teaching of the Bible. Many believers in Replacement Theology have adversely influenced Jews since its inception. Replacement Theology is a false doctrine. 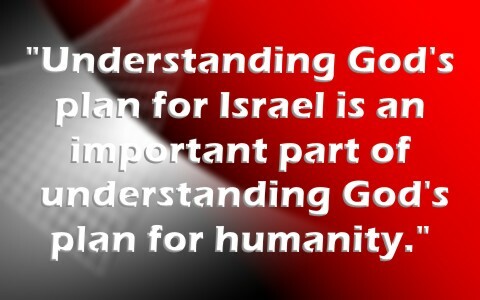 Understanding God’s plan for Israel is an important part of understanding God’s plan for humanity. Here is another similar article for you: What is the Emergent Church? Wow… What an informative and well written article. Thank you very much.